I got back to Joburg from Berlin towards the end of August and I promptly got the flu. Then I went with my family and a bunch of my parent’s friends to Mozambique for a few awesome days to celebrate my moms 65th birthday. Then I came home and got the flu again. Having finally got over that, I settled back into my flat and started converting the spare room into a recording space in which to start working on a new album. Mostly, this just meant getting everything (including the eight large sheets of sound-proofing foam that I found last year at the back of a second-hand warehouse in Craddock) set up nicely but I did have to seal up the window which required layers of plastic, cardboard, foam and a very heavy piece of superwood for which I had to mimic (but not, I should add, emulate) an olympic weightlifter to get into place. 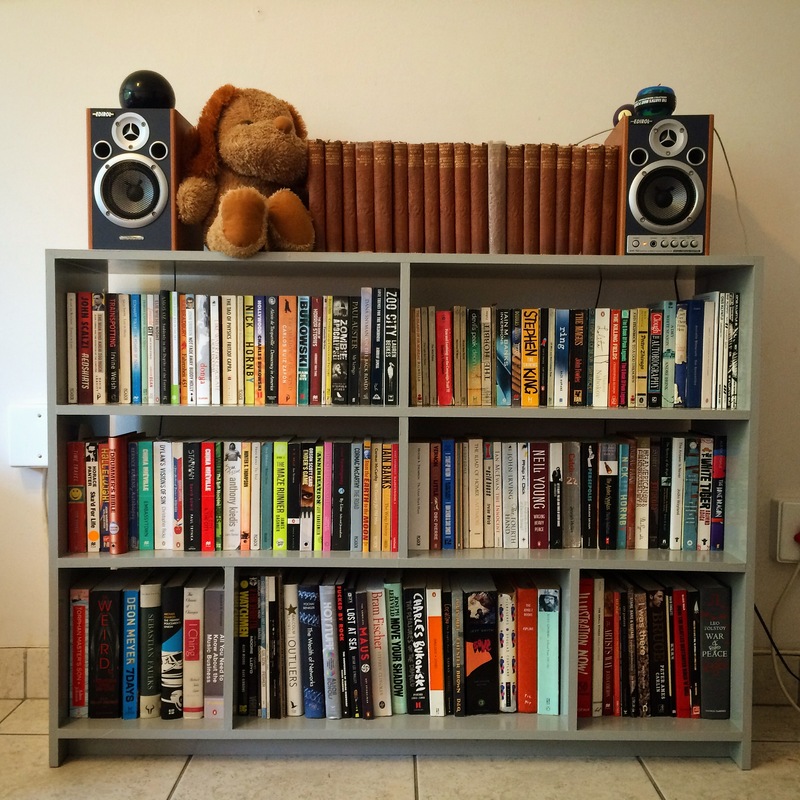 (I also managed to make a new bookshelf with the off-cuts and the help and expertise of my great pal Colin). WIth that all done, I got to work trying to write some new tunes. My plan is to try and write twenty songs from which I can choose about ten or twelve for the album. Over the next three or four weeks I managed to write seven before the juice ran out. I then soldiered on for while but was only really coming up with scraps, although I did record a version of Nirvana’s Something in the Way which I would like to find something to do with. I’ve decided to give the writing a break now while I get ready for the tour but I’m hoping that by the end of February next year I have enough material to start putting the album together for a release in April or May.